If you’ve ever wondered how long you spend watching YouTube, now you can find out. With an update that hit the App Store today, Google has added ‘Time watched’ statistics to the iOS app’s Account view. Tap your avatar in the upper right-hand corner, then ‘Time watched’ for your total viewing time today, yesterday, and the past week, plus your daily average. The statistics are based on your YouTube Watch History, so they don’t include anything deleted from your Watch History or watched in Incognito mode. Nor does Google include YouTube Music listening statistics. 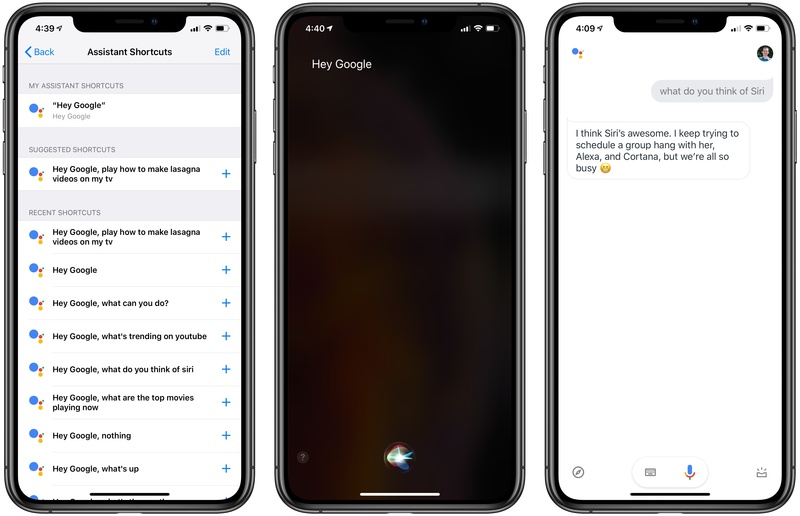 The new ‘Time watched’ section also includes the ability to set up reminders to take a break periodically, which can be set in 5-minute increments between 5 minutes and 24 hours. 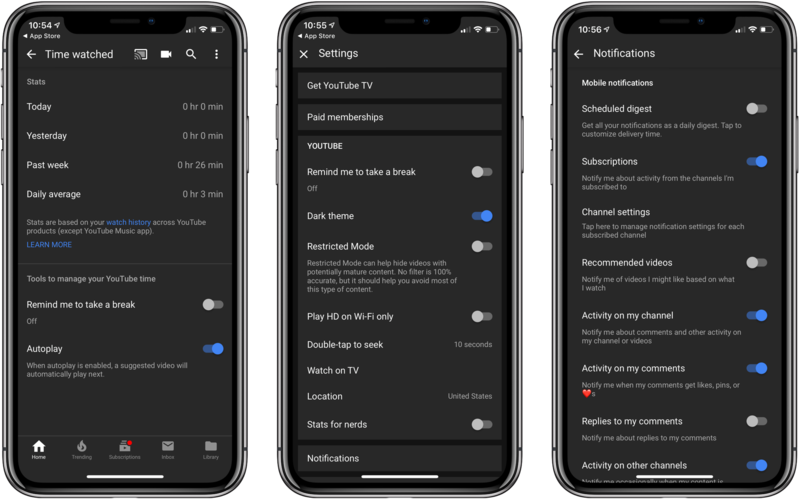 There’s also a toggle for batching the notifications YouTube sends. There are 10 categories of notifications available in the YouTube app, so batching them if you have several turned on is a welcome addition. Notification digests can also be accessed from the app’s settings. From 'Time watched,' you can turn off Autoplay and disable sounds and vibrations too. Originally announced at Google I/O earlier this year, it’s nice to see watch time statistics added at the app level, even though similar information will be available from the Screen Time feature coming soon with iOS 12. If you haven’t been running the iOS 12 beta, taking a peek at your YouTube usage statistics now is an excellent way to get a feel for the utility of having an objective measure of how long you spend on the service. Breaking out from the Google Drive moniker, Google has launched a set of new cloud storage tiers under the branding Google One. 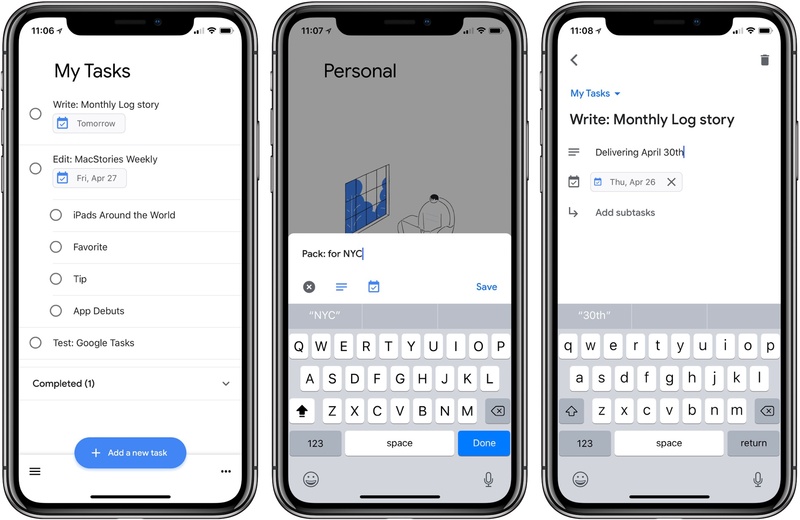 The new name makes sense, since Google Drive storage formerly encompassed space allotted to a wide swath of Google products, such as Photos, Docs, and Gmail, as well as files actually stored in Drive. Now Google One fills the role of covering your storage needs across all Google products and services, which I think will be less confusing. It's a pattern that follows Apple's own iCloud branding, where iCloud storage covers a variety of Apple services like Photos and Mail, with iCloud Drive just one of those services. Google's pricing is comparable to Apple's own iCloud storage, though with more options and a more generous free tier. Apple offers 5 GB for free, 50 GB for $0.99/month, 200 GB for $2.99/month, and for 2 TB for $9.99/month. 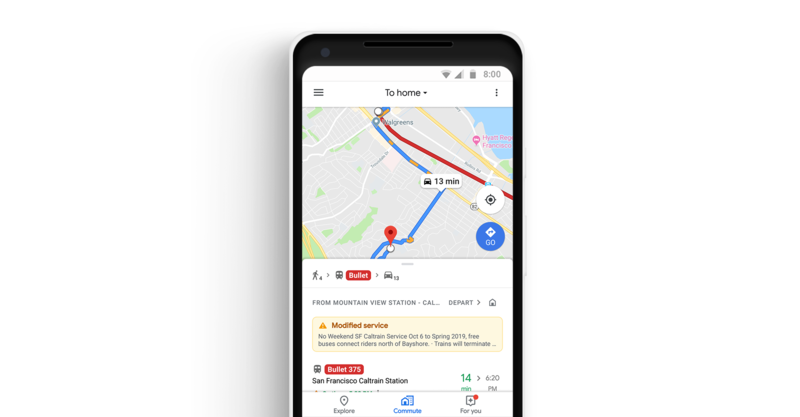 Google One's rollout will be staged worldwide, but as of today it appears to be available in the U.S. at least. 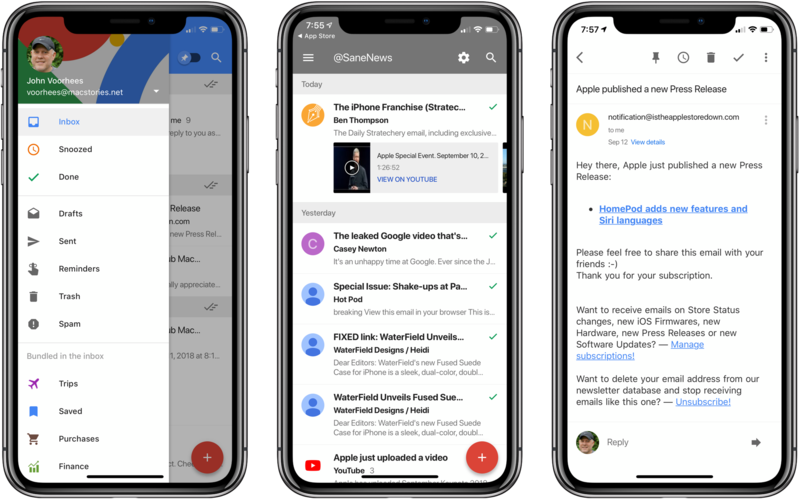 Yesterday at the keynote for Google's I/O developer conference, the company introduced a News app launching soon for iOS and Android, which will replace the existing Google Play Newsstand app. The app is rolling out some time in the next week, but here are the highlights for what it'll contain. Like Apple News, the landing page for Google News is called For You, which is where Google aggregates stories based on your interests. The second tab, Headlines, is strictly about the biggest stories in the world each day. These stories will be the same for everyone within a given geographic region, with no personalized curation at all. Finally, Favorites and Newsstand give you quick access to the publishers you follow, including the ability to subscribe to publications from directly within the app. 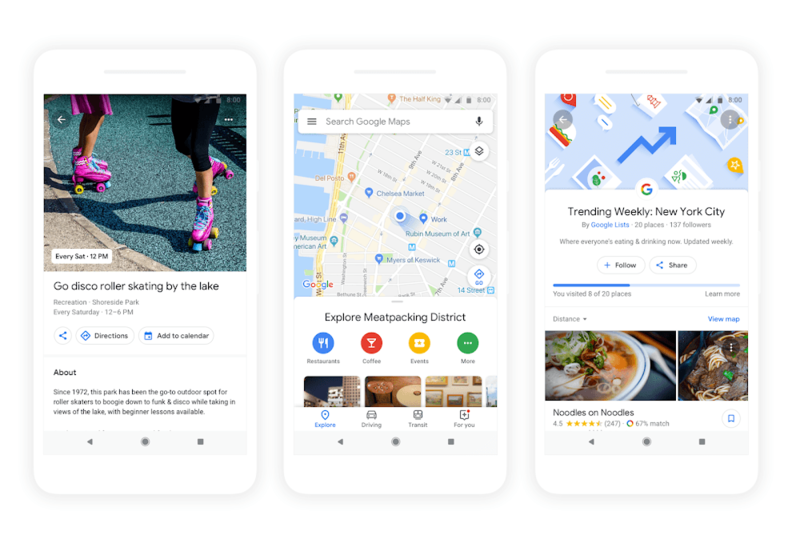 For the most part, Google News is a close imitation of Apple News – it has a similar layout, and a similar design with white backgrounds and a heavy focus on photography. The way it best differentiates itself is a feature that I think is the highlight of the app: Full Coverage. When you're reading a story and want to gain more insights and perspectives on the same topic, tapping the 'Full Coverage' option opens a view that aggregates a wide array of sources covering a variety of angles on that story. It's one way Google is aiming to promote solid journalism while gently combating filter bubbles. Based on the examples that have been shown so far, Full Coverage will list stories on an event timeline, offer answers to frequently asked questions about an event, highlight tweets and opinion pieces, fact checks, videos, and more. It's meant to be a comprehensive overview of a given story, and I think it looks fantastic. It's unclear how widely available Full Coverage will be throughout the app, but we can assume that the most significant news events at least will include a Full Coverage component to them. 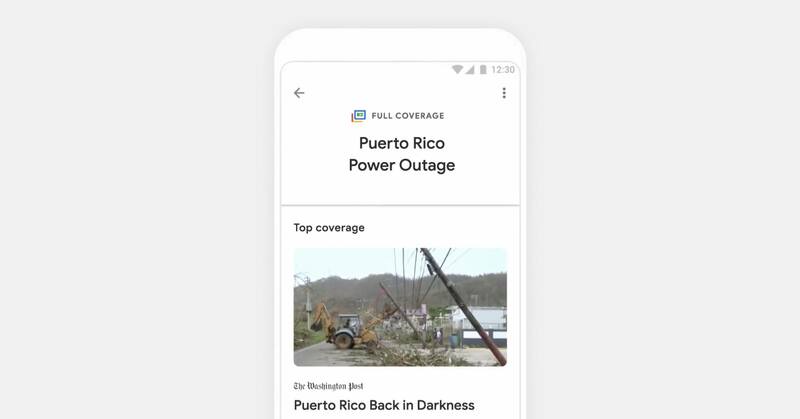 Google demoed one Full Coverage story focusing on the Puerto Rico power outage situation. 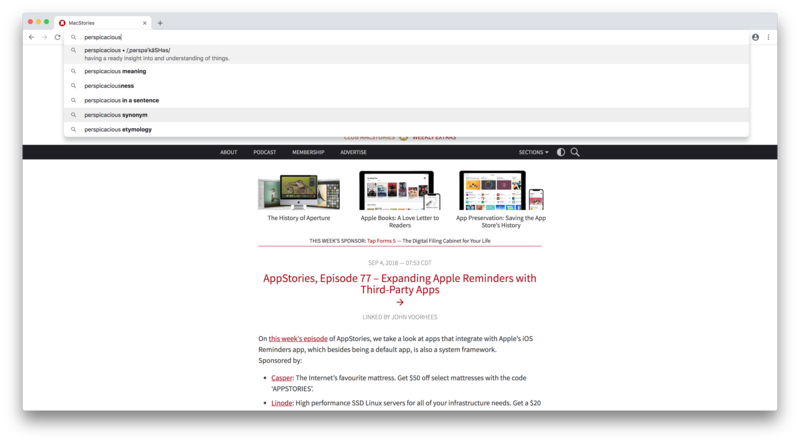 Despite being different in execution, Full Coverage is similar in spirit to the Spotlight tab in Apple News: both aim to provide substantive overviews on a given topic by aggregating a variety of sources. 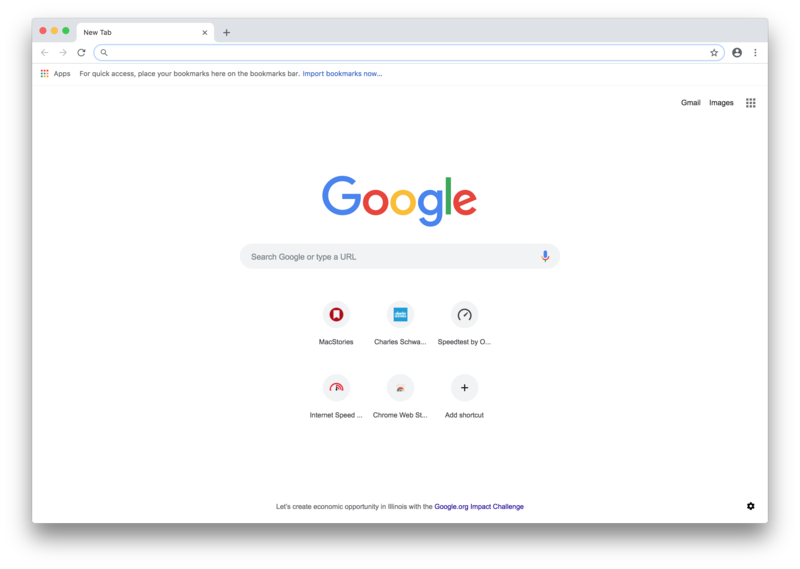 While Spotlight is updated daily to cover a new topic, I appreciate Google's approach with Full Coverage because it will make those aggregated pages more accessible and relevant to readers. I love Spotlight and check it regularly, but it's frustrating that Spotlight stories can only be accessed the day they're published. Apple should take a note from Google News' playbook and start offering links to previous Spotlight features at the bottom of related stories.